Disclosure: This post has been sponsored by Purex® Crystals™. All thoughts and opinions are my own. Thank you for supporting the brands that make this blog possible. A few weeks ago I talked about how important what you wear underneath your clothes is, and today I’m talking about another important aspect to any awesome outfit…the perfect scent! And no I’m not talking about perfume, I’m talking about that freshly washed scent. I never thought I would admit this, but that fresh laundry smell is one of my favorite scents. There’s nothing better than sleeping on freshly washed sheets or taking your favorite dress out of the dryer and immediately wearing it. Actually I THOUGHT there was nothing better than it…until I tried Purex® Crystals™! I picked up a bottle of Purex Crystals In-Wash Fragrance Booster in Fabulously Fresh from Walmart last week and I swear I’ve done more laundry in the past five days than I have in a month. You guys, this stuff smells so GOOD! 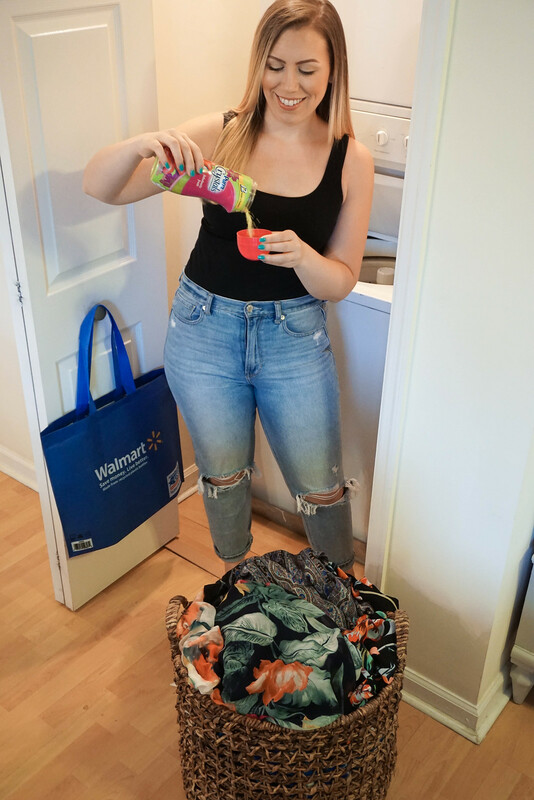 Purex Crystals infuses your clothes with up to 12 weeks of long lasting freshness And not only did it make my clothes smell amazing, my entire apartment was boosted by a “Fabulously Fresh” scent all day! My local Walmart not only carries this scent, but also Lavender Blossom, Fresh Spring Waters and more! Be sure to check out the Ibotta offer for Purex Crystals before picking up your favorite Purex Crystals scent at your local Walmart! Depending on what I was washing all I did was add a little (for clothing and sheets) or a lot (for towels and activewear) of Purex Crystals into my washing machine and a short 45 minutes later I had the freshest smelling laundry ever! 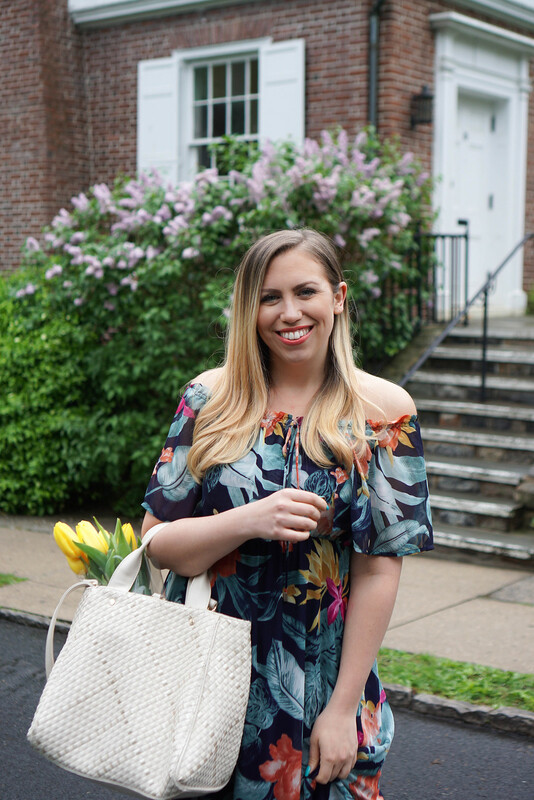 Statement earrings, a bold print and a fabulous bag might all be important when putting together a perfect Spring outfit, but freshly washed clothing with a fresh Spring scent is just as important don’t you think?